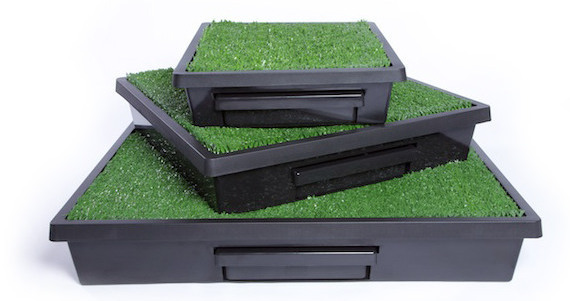 Place the pet toilet anywhere inside or outside. Train your pet to use the toilet in a few days. 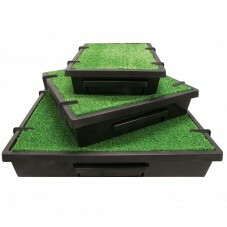 Pee drains through the grass into the waste container. Remove the waste container and pour the urine into your toilet or yard. 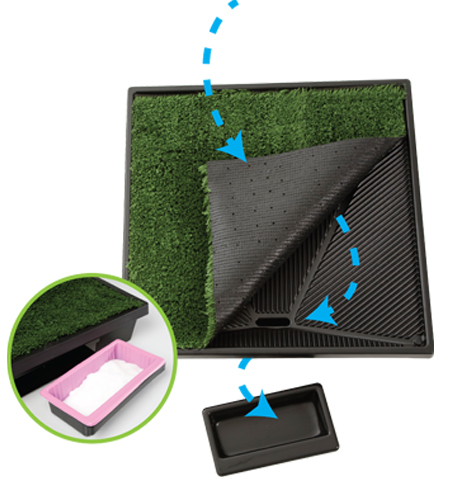 Clean up poop with a pooper scooper or poop bag. Optional splash guards & odor eliminators make cleanup a breeze. 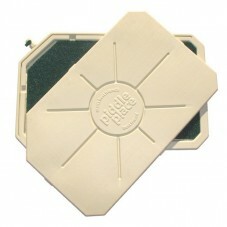 The Piddle Place™ Portable Pet Potty lets your pet do his business whenever he needs to. 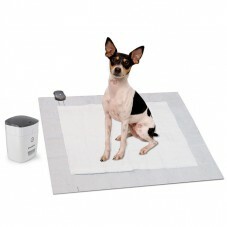 Continue your puppy's potty training when you're at work, or give your dog a bathroom on your apartment balcony. Convenient handles, travel lid, and easy-pour spout make the potty portable for trips, camping, and RVs. The Pet Loo toilet for dogs, cats, and small pets is an alternative to pee pads, bathroom breaks, and litter boxes. Ideal for apartments, potty training, and occasions when you can’t let your pet out, the Pet Loo gives your pet a bathroom anywhere she needs it. The automatic treat dispenser trains your dog with positive reinforcement. Every time your dog uses the pee pad, he gets a treat. Behavior that gets rewarded gets repeated. 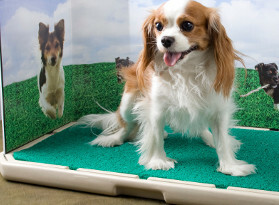 Your dog will quickly learn that he gets a treat for using the pee pad instead of the carpet or your favorite shoes. 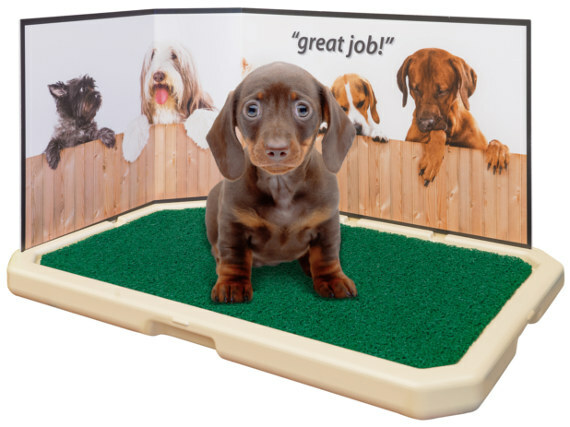 Pee pads are great for when you can't get home to let the dog out, potty training a puppy for the first time, or long-term use in homes without yards. Even housetrained pets have accidents occasionally. Our cleaners are effective and enzyme-based to clean up tough stains and smells, yet environmentally friendly and safe for people, pets, and the planet. Enzymatic cleaners remove the source of the smell, so your pet won’t keep marking the same spot. Is your dog really house trained? How do I train my pet to use the Pet Loo? Does the Pet Loo smell? How do I clean the Pet Loo?